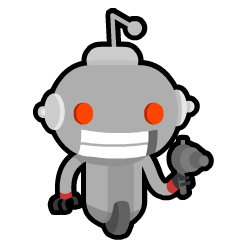 redditbots.com is an open domain for bots that require third-party authentication and/or want a separate web interface (eg. instead of parsing messages/comments). By default, there is a wildcard domain (*.redditbots.com) set up to point to Heroku apps, so you can use it for any bots you are running on Heroku, without having to do anything else, by running heroku domains:add example.redditbots.com. However, this will be a direct link to Heroku (without CloudFlare's performance or HTTPS support), and not all bots are hosted on Heroku. As such, if you have a bot running somewhere else, or if you want full CloudFlare support, you can request a subdomain to point to a specific server / CNAME in the thread at https://www.reddit.com/r/redditbots/comments/332mi7/redditbotscom_subdomain_request_thread/, and /u/StuartPBentley can direct that subdomain of redditbots.com to your bot. As an example, if you are hosting a bot on a local machine from your house, you can set up a dynamic DNS record for your IP address, then use that as a CNAME for your bot's subdomain.